Sometimes you have a batch or even just a few bars of soap that just does not look as nice as you were hoping. The colors morphed, the swirls did not swirl, the colors bled together, the fragrance caused discoloration and you no longer have that beautiful and carefully designed and colored soap (thank you vanilla) you had planned on..... oh, what to do with said soap bars. Well, welcome to felted soap! 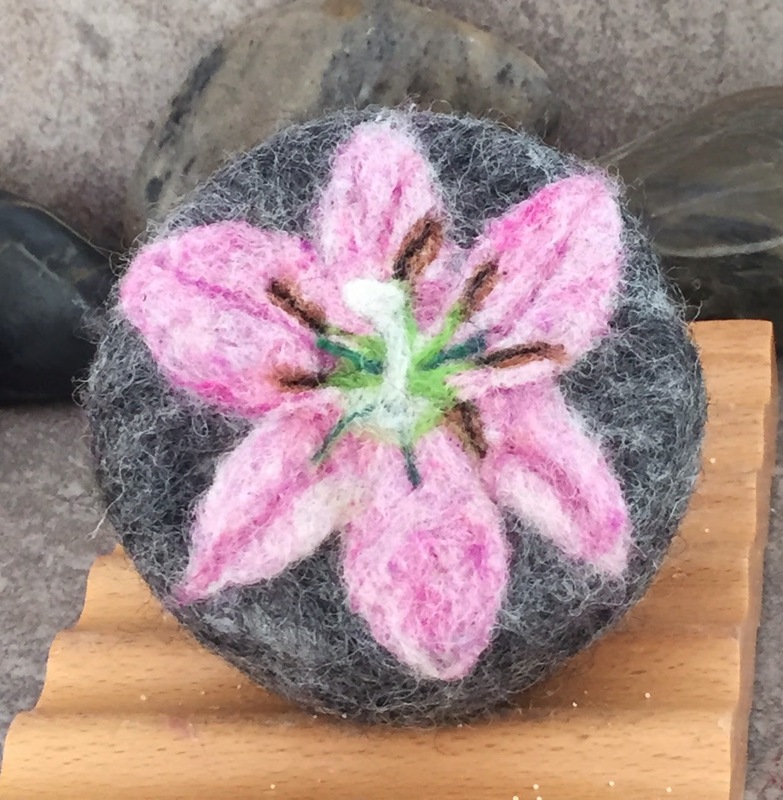 Felted soap is the art of wrapping soap in wool roving then wet felting it so that the fibers combine to encase the soap in a wool wrap. That is the easy and simple solution to what to do with those excellent bars of nourishing handmade soap that you just can't look at anymore. It is great soap made with a wonderful blend of oils and scent..... and now it is even greater. 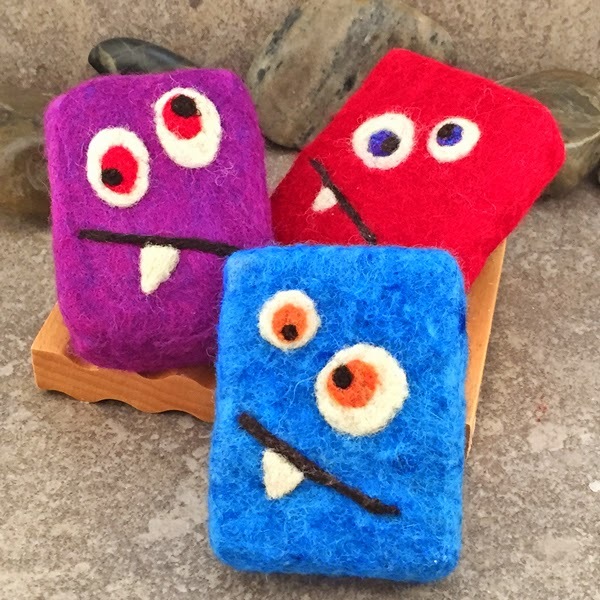 You can even expand on the basic wet felting to add needle felted designs to create truly unique and one of a kind pieces of soap "artwork". Anything goes from beautiful tie dye effects of wet felting multiple colors of wool roving together to the silly monsters above, geometric designs, landscapes and on and on. The possibilities are endless as you let your imagination and needle felting skills take over. 1. 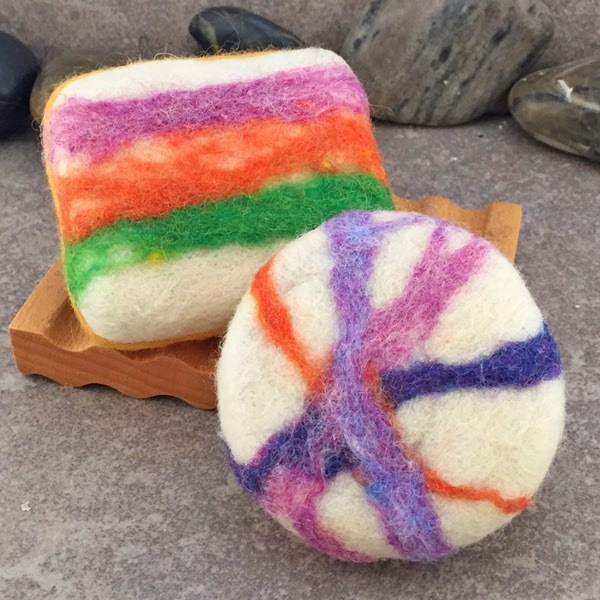 No need for a additional washcloth or scrubby - the felted natural wool fibers allow the soap to create a wonderful lather for showering or bathing. 2. Gentle and mild exfoliation from the natural wool fibers. as long as soap is not left in a pool of water and allowed to drain in between uses). 4. No more slippery soap that drops out of your hand. 5. 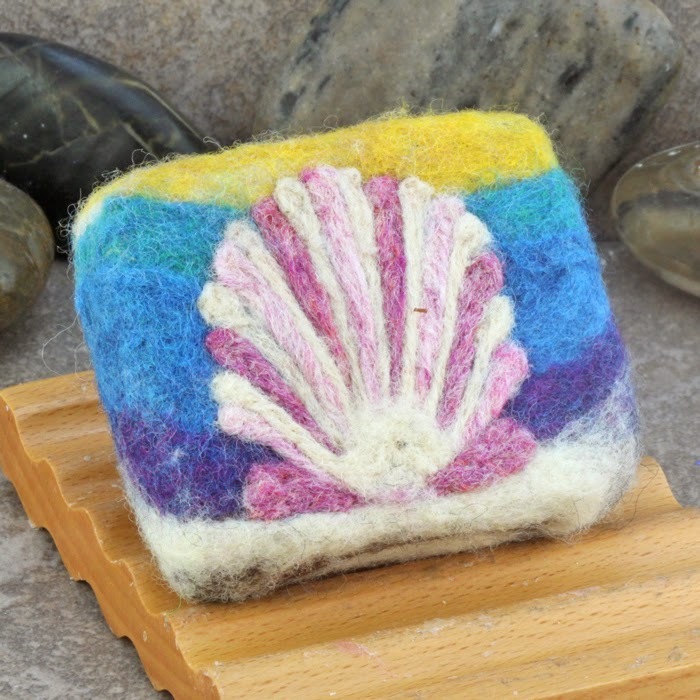 When the soap is used up, you are left with a beautiful felted pouch. Just cut a slit in the top and fill with potpourri or even other soap scraps to get full use of all your soap bars. 6. 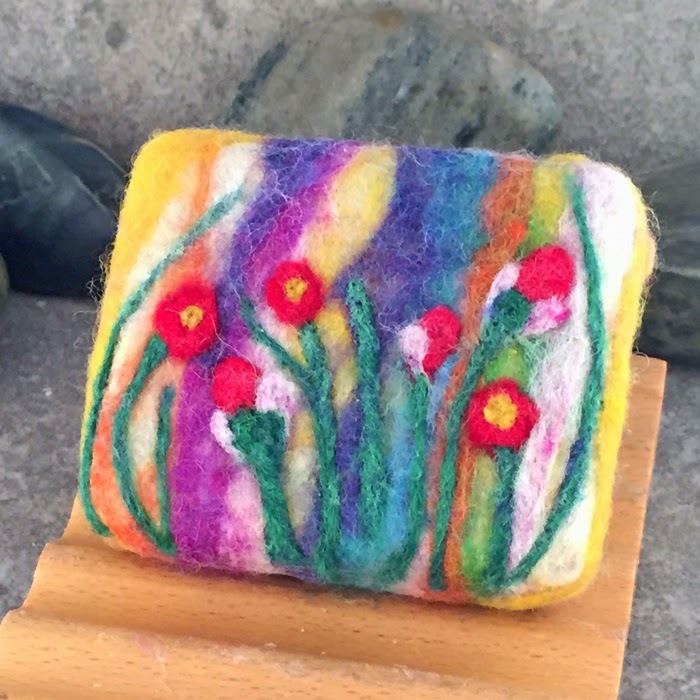 Felted Soaps make a wonderful and unique gifts. I am having so much fun and find this technique so therapeutic and relaxing (something about stabbing a needle into an object over and over and over again..... hmmmmm...) that I created a wonderful batch of unscented goat's milk soap just to create felted soap from. The bars are curing now, but come next month, I will be felting like a mad woman. Copyright 2006 - 2014 Alaiyna B. Designs, Alaiyna B. Bath and Body. All rights reserved. All text and images are the property of Alaiyna B. Designs. No part of this document or webpage may be reproduced by any means without prior written consent of Alaiyna B. Designs and/or Alaiyna B. Bath and Body. Your blog is great! I learned a lot! Thank you! Thank you - very much appreciated.